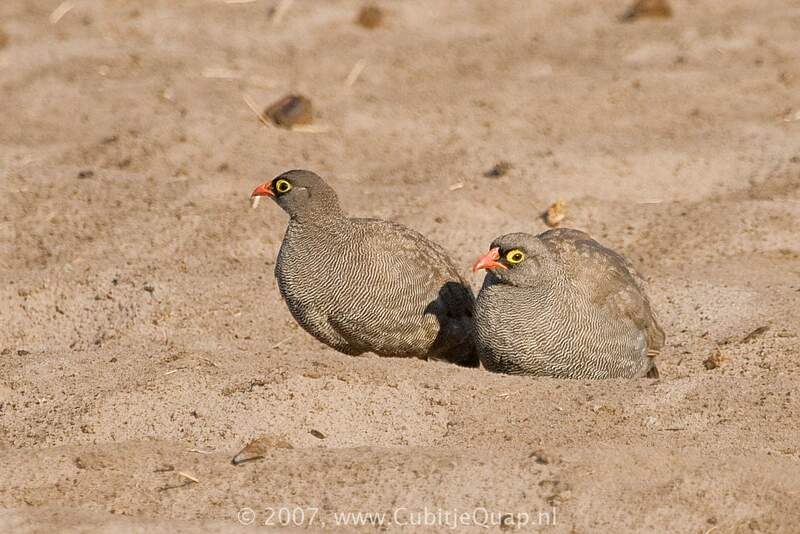 The combination of the dull red bill and legs and the yellow eye-ring is diagnostic. 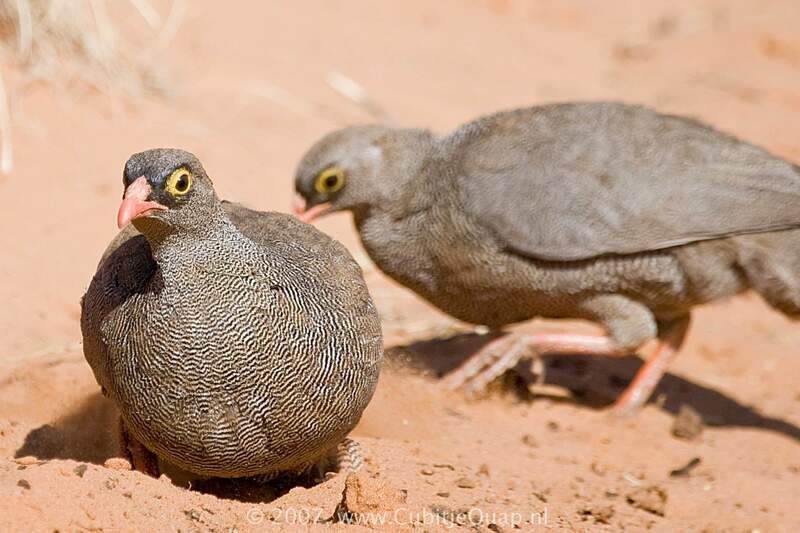 Female lacks the spurs of male. Juvenile lacks the yellow around the eye. Dry thornveld and open, broad-leaved woodland. 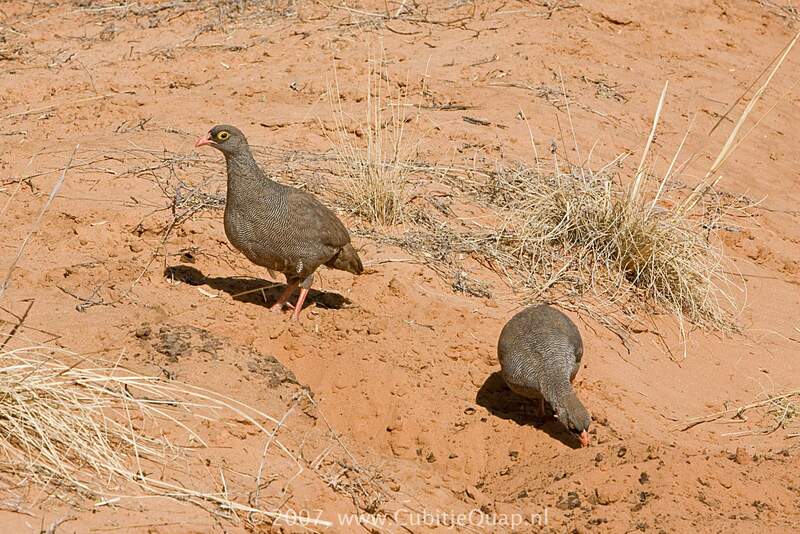 In the dry northwest it is the common spurfowl of seasonal riverbeds and assiciated with riverine vegetation. 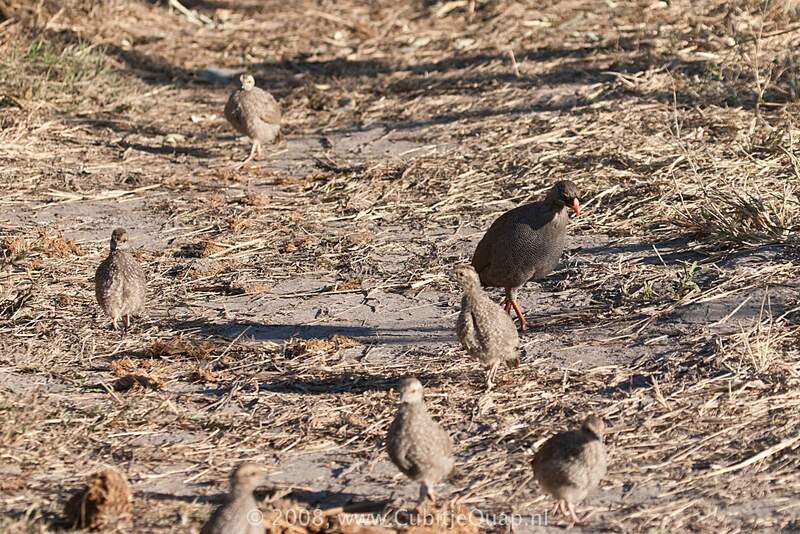 Feeds freely in the open and is less skulking than other francolins. A loud, harsh 'chaa-chaa-chek-chek', uttered at dawn and dusk.